Extensive libraries of Rectangular, Circular and Flat Oval patterns for welded or seamed construction. 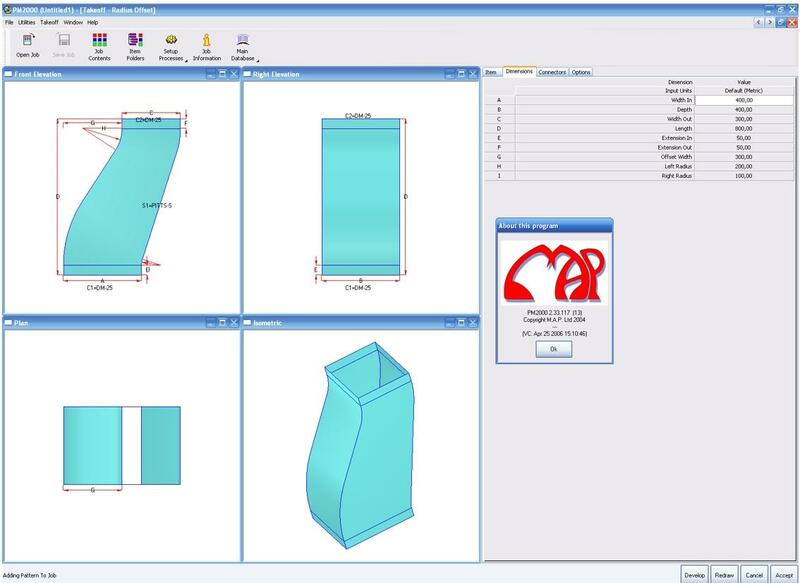 Patterns can be selected, dimensioned and displayed in 2D and 3D for verification. All Patterns have configurable options i.e. Seam Positions, OD/ID Diameters, Fold Notches, etc. On-screen verification of developments before acceptance. Supplements existing CAM software for use on Profiling and Punching machines. CAM-Lite exports the developments in DXF file format. Auto-Pats creates the developments directly within AutoCAD. Patterns can be easily customised to meet manufacturing requirements. Manufacture to any size and material thickness. Indicate folding/bending positions with marker notches or development lines. 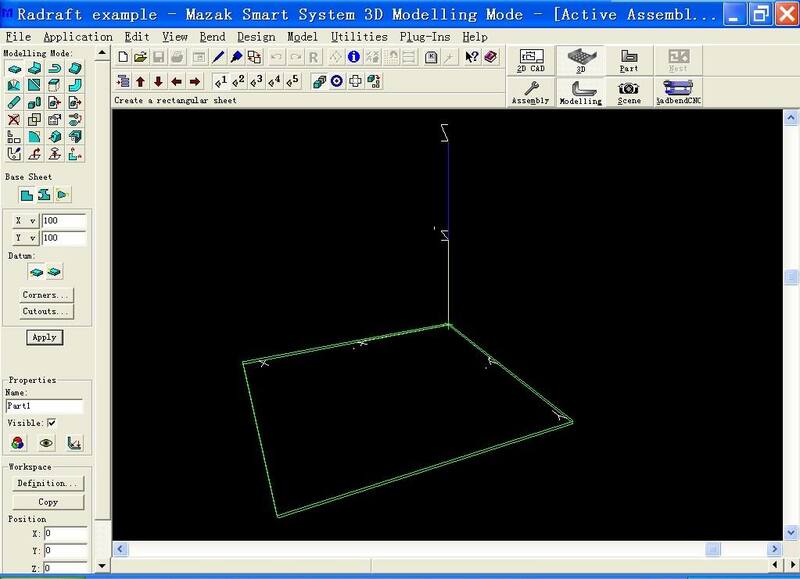 Auto-Pats creates 3D Solid Models for generating detailed construction drawings in AutoCAD.